The Xiaomi Black Shark gaming phone is more than just a gimmick from the company. 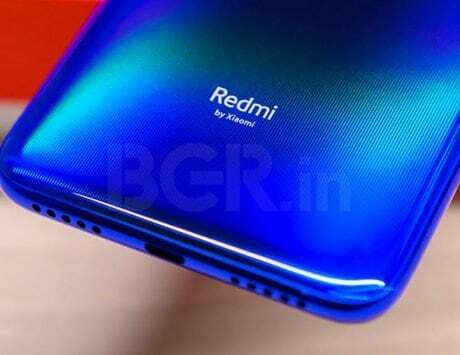 Xiaomi has been on the edge for a while with phones that tend to look similar. 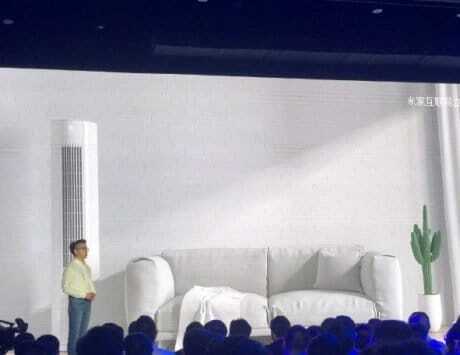 They have toed the line few times, with the Mi Mix previously and now the Mi 8 Explorer Edition. But now the Chinese tech giant of a company has poked its nose in a whole new arena of smartphone making, which is gaming smartphones. 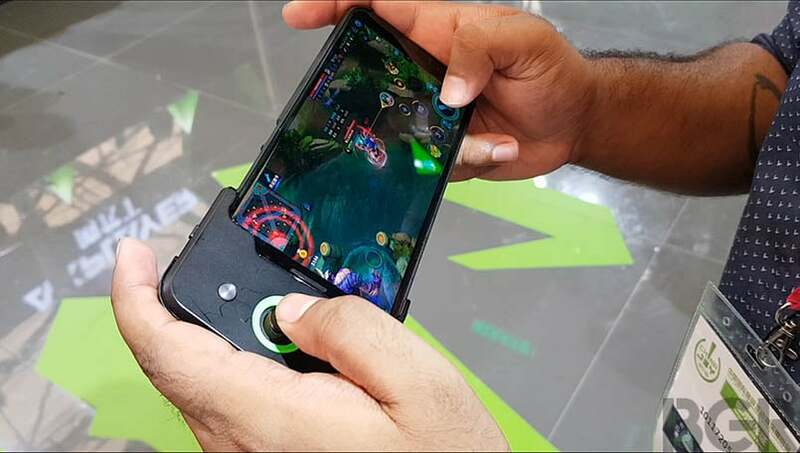 And as is with most things gaming, Xiaomi’s Black Shark Gaming Phone stands out in the crowd of similar looking flagship phones. Nobody needs to be told that the Xiaomi Black Shark is a gaming phone, because it is pretty apparent on first look. 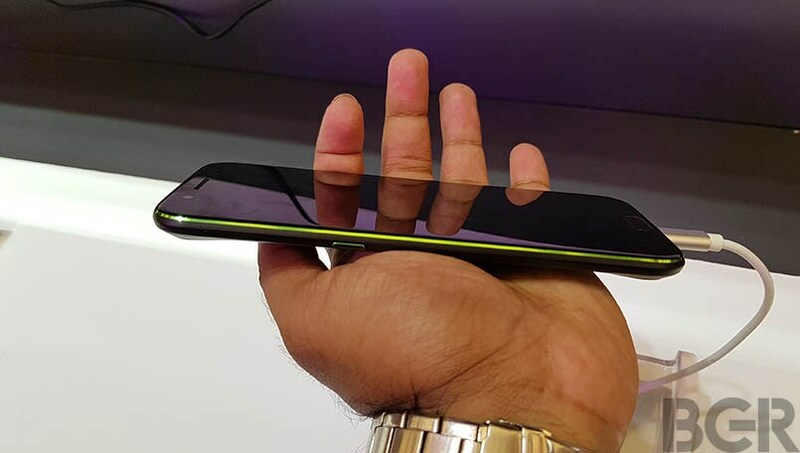 The phone has a metal body and the Black Shark logo with RGB lighting bang on center at the back. The back of the phone has a rubber texture on the center and the edges. 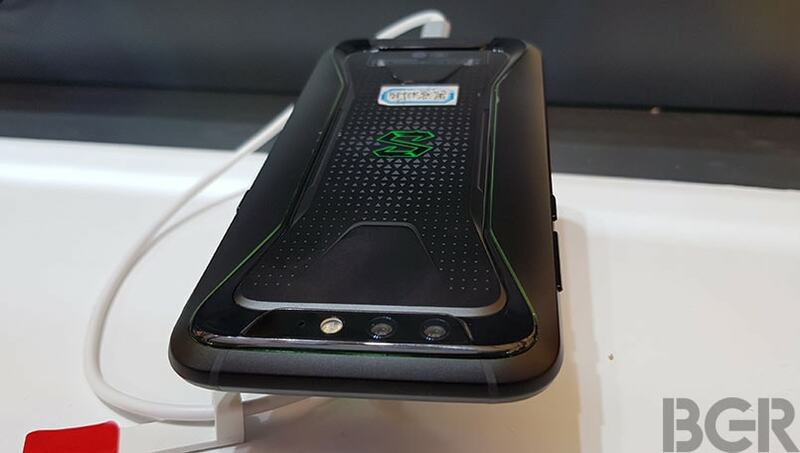 There is a shiny part of the back panel that runs all around the back panel and houses the wording Black Shark on the bottom and the dual camera setup with the LED flash on top in a horizontal format. The back panel gives the phone an ergonomic design and makes it easier to grip. 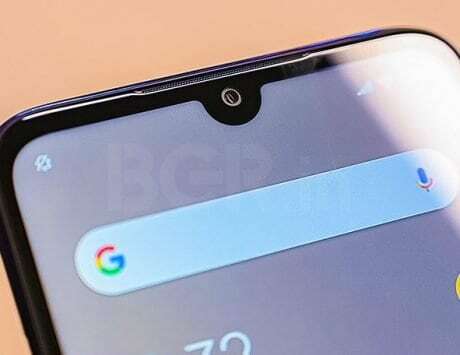 The front panel of the phone seems rather plain with thin bezels on the top and bottom of the 6-inch IPS LCD screen with a resolution of 1080 x 2160 pixels, and a ratio of 18:9 and non existent ones on the right and left edge. 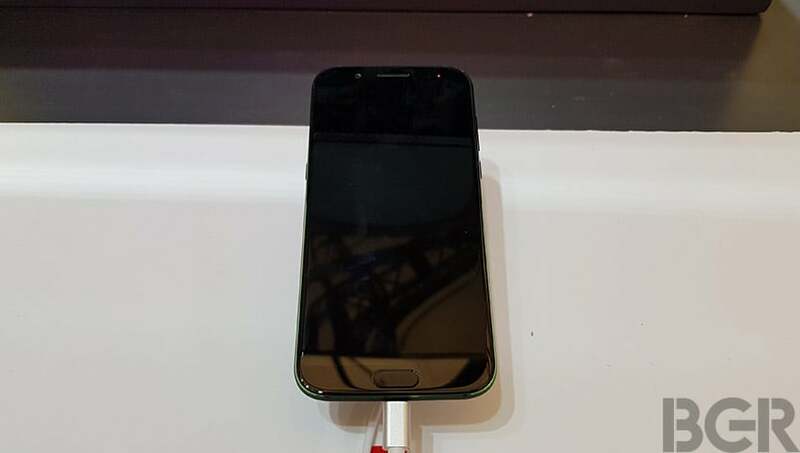 The top bezel houses the sensors, the selfie camera, earpiece and the LED indicator light. On the bottom bezel, the phone has the fingerprint sensor that doubles up as the home key. On the right hand panel the phone has the volume rocker and the power button that are made out of metal as well. The left panel of the phone has the ‘Black Shark Key’ which is black in color with a green band around it that opens up the game manager. The phone runs on Android 8.0 Oreo with MIUI 9 on top of it and the most pleasant part of it is that it actually has an app drawer unlike most other Xiaomi phones. 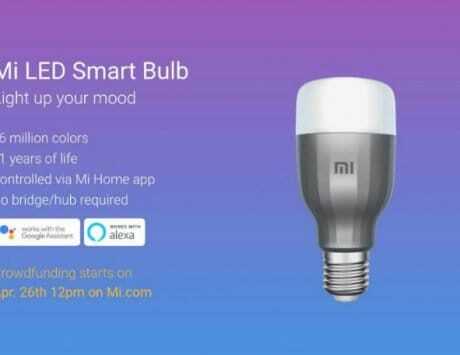 Besides that the user interface seems similar to other Xiaomi phones. The phone is snappy when opening apps one after the other. The Xiaomi Black Shark uses the latest Qualcomm Snapdragon 845 processor that has a maximum clock speed of 2.8GHz. It comes in two variants with 6GB RAM and 64GB storage and 8GB RAM and 128GB storage. I used the higher variant at ChinaJoy 2018 and it performed really well. 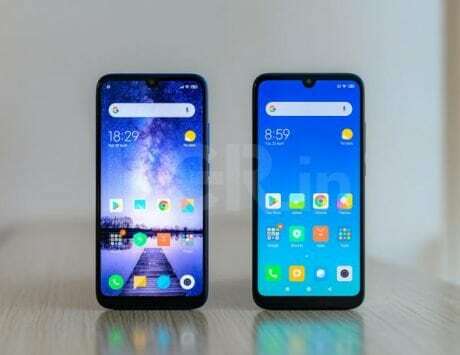 The Xiaomi Black Shark has two cameras on the back with 12 and 20 megapixel sensors and the 20 megapixel lens comes with an optical zoom of 2x. The rear cameras seemed to do a decent job at the trial booth. The phone comes with a 20 megapixel sensor on the front which again did a decent job and nothing that would be out of the ordinary for a gaming phone. I had the opportunity to try out the Xiaomi Black Shark with its first generation controller that snaps on to the top of the phone. The controller comes with a single thumb joystick and and index trigger. The controller actually makes playing games very convenient, especially MOBAs. 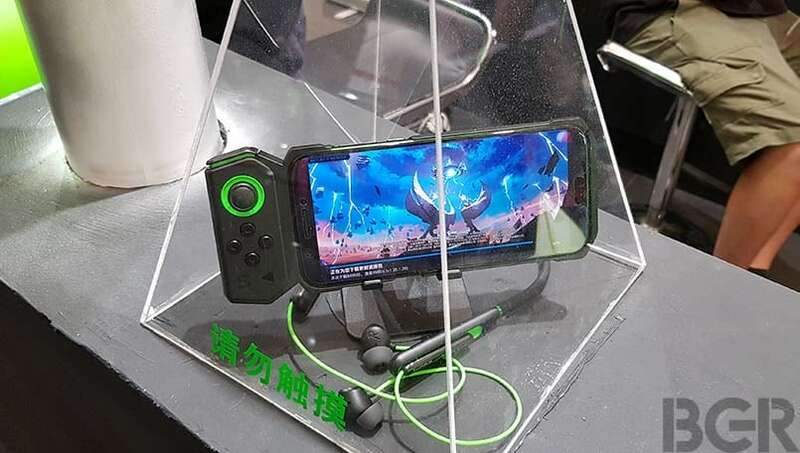 There is a second generation of the controller coming out soon along with headphones that can be seen in the image with the phone inside the case. Summing up my first impressions of the Xiaomi Black Shark Gaming Phone, I would say that the phone is not just a quirky device but is effective when playing games, especially with the controller which is getting a second generation release soon.